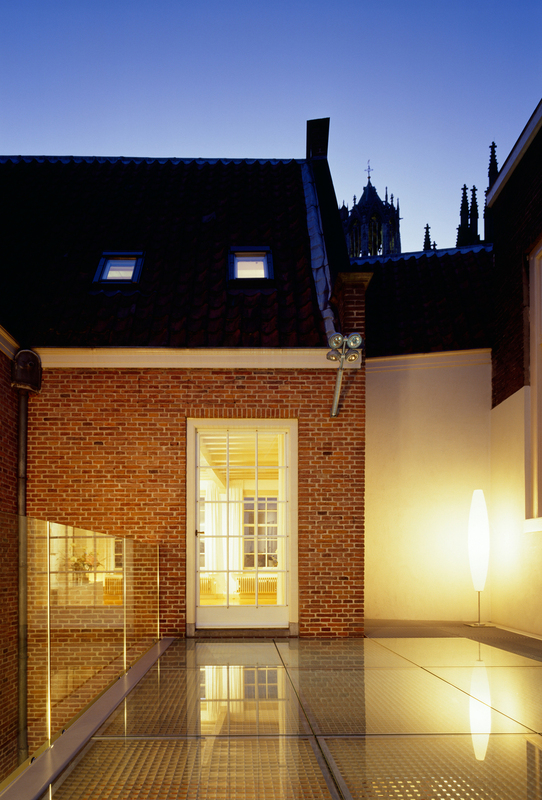 In the heart of the city of Utrecht, just behind the Dom Church, two houses from the 17th century combine into one private house. The living room and kitchen are located on the first floor. 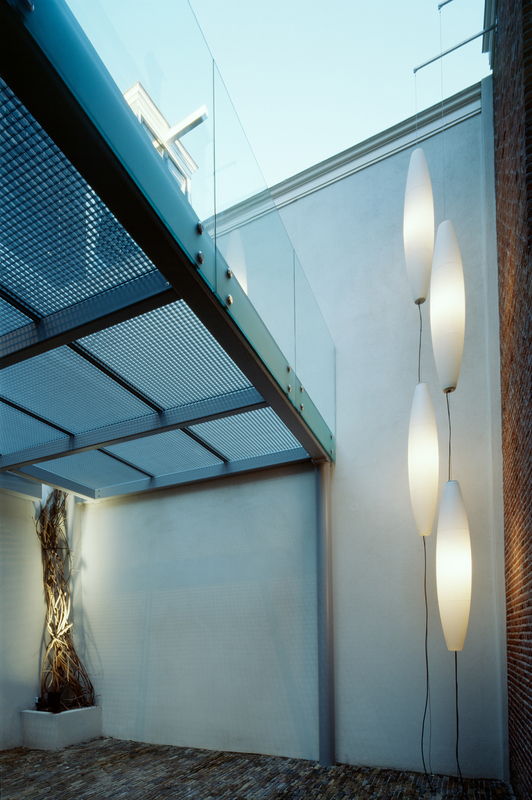 A small courtyard behind the houses provides the only exterior space. 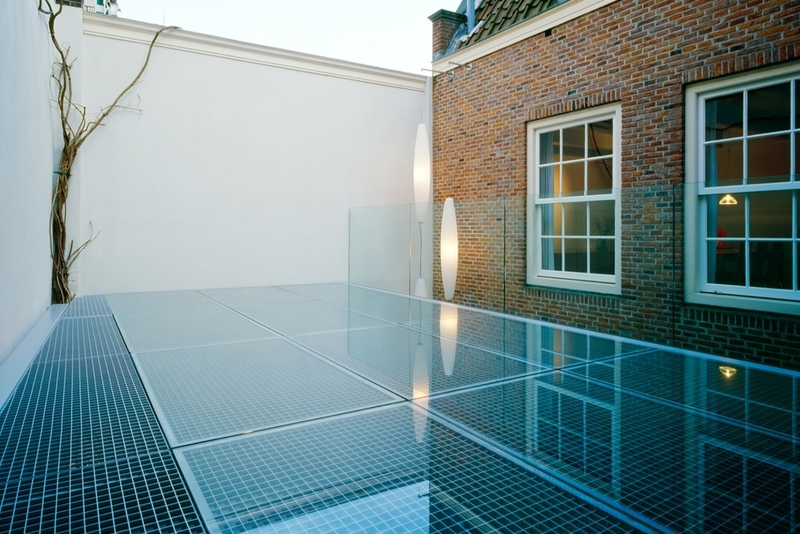 The new steel-glass terrace is totally transparent, its light metallic colour reflecting light into the work spaces on the ground floor. New spotlights are integrated In the historical brick floor.